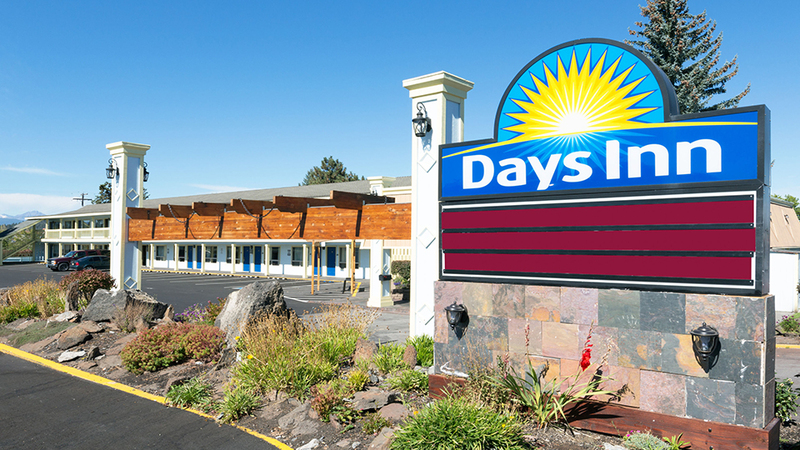 Centrally located off Highway 97 in the heart of Bend, the Days Inn Bend hotel is an ideal place to get away from it all and reasonable rates offer exceptional value to help you get the most out of your trip. Start your day off right and wake up to a free newspaper and free Daybreak continental breakfast featuring hot items. Other hotel amenities include accessible rooms and free on-site parking, along with free WiFi, a 32-inch TV, microwave, and refrigerator in every room. Days Inn Bend is close to your every Central Oregon adventure. You’re just six blocks from downtown Bend, where you can take a short walk to enjoy a wide variety of unique shops and eateries. The Old Mill District is right around the corner and is a great place to dine, shop, see a movie or just walk along the beautiful Deschutes River. If you didn’t get enough activity when you were out and about, take advantage of the fitness center or relax in the outdoor pool and hot tub and recharge for another day of fun.